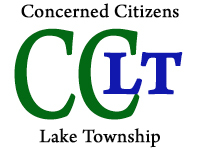 03/19/09 Press Release | Concerned Citizens Lake Twp. The US EPA and Department of Justice want to sell off for potential re-use one of the nation’s worst toxic waste dumps, the Uniontown Industrial Excess Landfill, despite the fact that NO clean-up has ever taken place of the hundreds of thousands of tons of hazardous substances and radiation, including deadly Plutonium, reported in test results of groundwater declared valid by US EPA. The US EPA and Department of Justice want to sell off for potential re-use one of the nation’s worst toxic waste dumps, the Uniontown Industrial Excess Landfill, despite the fact that NO clean-up has ever taken place of the hundreds of thousands of tons of hazardous substances and radiation, including deadly Plutonium, reported in test results of groundwater declared valid by US EPA. Even the most minimal remediation measures once prescribed – a cap, pump & treat system, and an expanded gas control system – have been eliminated from the site’s original 1989 Record of Decision ( ROD) at the request of the polluters, in favor of the continued flushing of the site into the area’s sole source aquifer system, that potentially migrates into 13 Ohio Counties used by up to 600,000 people. Outrageous? Criminal? That is what many people believe about what the US EPA has allowed, when it bowed to the wishes of the PRP’s, opening the ROD in at least two instances to kill any semblance of a clean-up. To add insult to this injustice, the EPA even permitted the polluters to seal up 33 of the site’s 50 some monitoring wells, long viewed as the “window” in understanding how the toxins are leaving the site. ( The dump sits in a high water table in a former sand and gravel pit that, according to the US Geological Survey, has a rate of flow of up to 6 feet per day – thus even normal rainfall, let alone violent storms featured in the new report, are an on-going concern). Not only has US EPA thumbed its nose at the many concerns raised by citizens, elected officials, independent experts, and the former US EPA National Ombudsman, Robert Martin, but the US EPA, incredibly, has even blatantly ignored the serious technical concerns expressed by scientists located within its own agency, including EPA’s Research & Development, who spoke to the Inspector General about our case, as well as ignoring the Nuclear Regulatory Commission, and a top Plutonium expert from the Department of Energy. Note: The validated Plutonium levels reported at IEL were higher than the legal, health-based action limit set for Rocky Flats, Colorado, and comparable to levels reported moving in groundwater at the Nevada Test Site from the detonation of over 800 nuclear devices. No matter. According to the US EPA and DOJ, the IEL case is closed, and they are ready to have the site sold off, according to EPA’s last public communication. Much is at stake, not only for the communities living around this site, but potentially for all other Superfund Sites around the nation like IEL, that have been swept under the rug from the Cold War under EPA’s control. The US EPA in 1993, during its Science Advisory Board Hearings convened to discuss the IEL radiation, indeed, designated the IEL as the EPA’s case in point for all other sites suspected of containing radiation. (See cover story, “Buried Secrets“, articles link). Thanks to the amazing help CCLT received from several top experts from around the country over the years – both independent academics and within the US government, scientists who have cared enough about what was going on at this site to speak out, at times risking their careers – our group has been able to compile a list of highly questionable testing methods/procedures used at IEL that are known by the scientific communit y to mask or under estimate the true readings for Plutonium and other radiation. These inherently flawed and/or fraudulent procedures are documented in the letters addressed to the former US EPA Administrator, Stephen Johnson, Superfund Chiefs, Cook & Wolford, and the current Director of the Ohio EPA, Christopher Korleski, on CCLT’s website. IF the US EPA and Ohio EPA desire to follow what is considered by the scientific community in this country to be the “best available science,” they clearly must change their policy for radiation testing at Superfund Sites, and immediately abandon the use of the EPA Finished Drinking Water 900 Method, a method that was NEVER meant to be used on Untreated, raw dump water, according to EPA’s own experts. In addition, CCLT has also uncovered a potentially very serious problem inherent within the EPA’s general groundwater sampling method adopted in recent years called “Low Flow,” reportedly now being used around the country to replace standard purging. IF, like what occurred at Uniontown IEL, monitoring wells are not properly purged first and parameters are not stabilized before water samples are drawn, stagnant water may be collected instead. EPA’s scientists informed us that this can lea d to Volatile Organic Compounds being lost, as well as metals and radiation, with the results being seriously compromised. In turn, improper Low Flow testing may lead to erroneous conclusions that the offsite plume of contamination has disappeared or reduced in size, causing RODs to be opened and clean-ups killed. Given the extremely serious concerns that remain at IEL, it is clear that the site should not be sold. CCLT has been supported by elected officials, who joined our group in writing the Federal Judge asking this move be blocked. To date, we still do not know the IEL’s fate. CCLT has provided information to EPW/Senator Boxer, Congressman Waxman’s Environmental Oversight Committee and Science & Technology. It is our hope that members of Congress and the Obama Administration will follow through on the mandate recently issued by the newly appointed EPA Administrator, regarding adhering to the “rule of law”, scientific integrity and transparency, and conduct a thorough investigation into the Uniontown IEL Superfund case.